After dropping the last two conference games the VMI basketball team looked to get back in the win column but fell short in a 72-60 loss to visiting Western Carolina Thursday night at Cameron Hall. The Keydets (7-16, 2-10) got off to a quick start, jumping ahead of the Catamounts (12-13, 7-5) by a 15-6 tally following a three by freshman Bubba Parham at the 15:15 mark. From there VMI went cold for the remainder of the half as the Keydets converted just two baskets and a few scattered free throws en route to 21 total points by the break. Western Carolina also struggled from the field by going 11-23 from the field and hit just four of 11 treys but managed to build a 29-21 lead going into halftime. 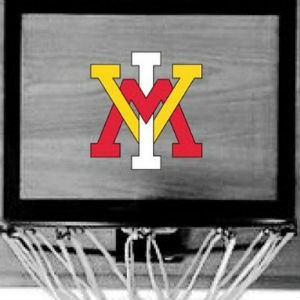 VMI nearly doubled its production in points by logging 39 in the second half but continued to struggle from three-point range as the Keydets made just four of 20 attempts in the second half. The Keydets finished the game shooting 31 percent (21-67) from the field and 20 percent (7-34) from the arc. The Keydets took advantage of Catamount mistakes by scoring 19 points off WCU turnovers, but Western Carolina provided more hustle off the bench as the Catamounts totaled 35 points from the bench to 18 for the Keydets. VMI was led by junior Austin Vereen and freshman Jordan Ratliffe as both scored 13 points while Parham finished with 12 points. The Catamounts were led by Deriece Parks’ 16 points while Halvorsen and Thomas provided 14 and 13 points, respectively, coming off the bench. The Keydets return to action Saturday when league leader ETSU comes to Lexington for a 1 p.m. tip at Cameron Hall.